Declan Akaba, known as Reiji Akaba (赤(あか)馬(ば) 零(れい)児(じ) Akaba Reiji) in the Japanese version, is the second CEO of the huge Leo Corporation. 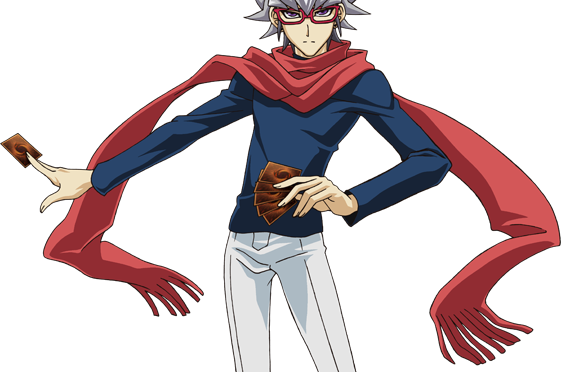 Described as a Super Elite Duelist with a genius brain, Declan is the youngest Duelist in history to be certified to Duel in the professional circuit, having done so at age 15. He is the founder of the Lancers, an organization dedicated to fighting against invaders from other dimensions. Declan is a thin young man with pale skin and grey hair, the front layer being a lighter grey than the back. His hair is arranged in a simple style, flicking upwards at the ends. Declan’s eyes are purple, and he wears red-framed spectacles. His ears are both pierced with black stud earrings. Declan dresses rather casually, wearing a dark-blue sweater, white pants that end just above his ankles, and white shoes (apparently without any socks beneath them), along with a long red scarf wrapped around his shoulders with the ends trailing to the small of his back. 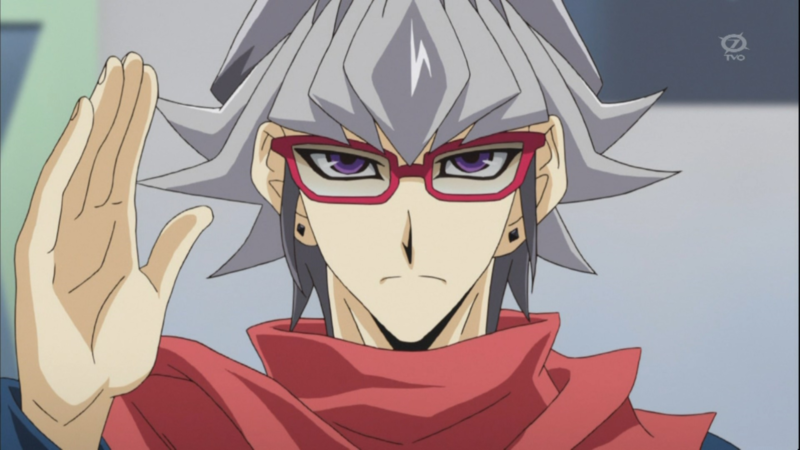 In general, Declan Akaba has a grim and serious demeanor, but he takes an interest in Yuya Sakaki. He is utterly polite without fail, save rare moments of a loss in composure. Unlike other rivals from the previous series Declan is calm and collected, and is shown to be extremely level-headed and strong-willed. Despite his advanced skills, he doesn’t seem to be overly arrogant, and is actually quite respectful. He does not consider empathy as beneficial on the battlefield, he does seem to enjoy himself while Dueling. He is shown to be highly analytical and a skilled strategist, and claims he only plays games that he knows that he can win. He used the Arc League Championship as a test to recruit Lancers, and came up with a plan to fend off the Fusion Dimension invasion within only a day. 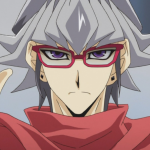 He can show a less moral side when executing his plans, as he had no problem allowing many Duelists to be sealed in cards during the Battle Royal and only cared about the ones that did survive. 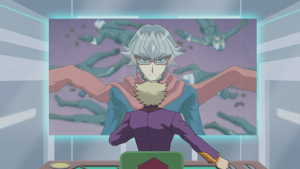 During his first Duel with Yuya, Declan demonstrated swift athleticism when necessary. He also possesses good reflexes and strength as he managed to intercept a punch from Yuya with ease. Declan Akaba uses a “D/D” Deck, which utilizes the “Dark Contract” archetype of Spell and Trap Cards to easily gather the necessary cards to perform the Fusion, Synchro, Xyz, and Pendulum Summons of the “D/D/D” monsters, using cards such as “Contract Laundering” and “D/D/D Human Resources” to avoid the negative effects of his cards. Declan’s usual strategy involves Fusion Summoning “D/D/D Flame King Genghis” through “Dark Contract with the Swamp King” to load his Graveyard with resources to Summon more monsters, often using them alongside “D/D Night Howl” to Synchro Summon “D/D/D Gust King Alexander”. Finally, he uses the effects of both “Genghis” and “Alexander” to Special Summon monsters from the Graveyard to Xyz Summon “D/D/D Wave King Caesar”, attacking with the three monsters in order to perform an OTK against the opponent. Declan is capable of using Pendulum-Fusion, Pendulum-Xyz, and Pendulum Synchro Summoning techniques to call out his monsters. 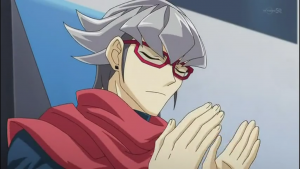 Declan’s mastery of the four specialized Summons is in the opposite order of that of Yuya Sakaki. 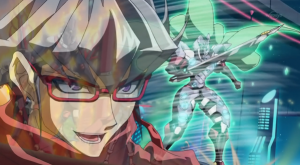 While Yuya first acquired Pendulum Summon and then acquired the other three Summons, Declan mastered the Fusion, Synchro, and Xyz Summons first and then acquired Pendulum Summon. The opposite order of the mastery of the four specialized Summons further highlights Yuya and Declan’s rivalry.